But you don’t have to wait for a special occasion to have that delicious home cooked meal flavor. 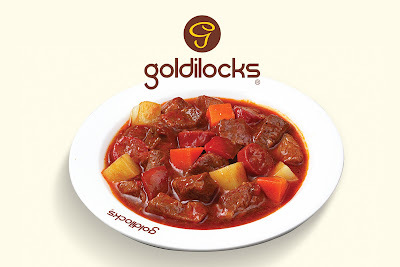 Goldilocks, the country’s Number One bakeshop, is finally serving delicious Pork Menudo-- just in time for Christmas! It has the right balance of savory and sourness that will surely make you feel at home. Cooked especially for the Pinoy palate, it is a masterpiece mixture of pork meat and liver stewed in tomato sauce, spices, hotdog slices and other vegetables. Make everyday a celebration with Goldilocks’ new Pork Menudo, now available in all stores nationwide.